Water tank liners are an excellent, cost effective solution for repairing older water tanks of all shapes and sizes. 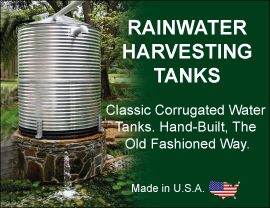 A typical water tank liner is fabricated to the exact dimensions of your existing water tank, cistern or pond. A wide variety of tank liner materials are available to choose from including PVC, EPDM, Polyethylene, Polypropylene, Polyurethane, Hypalon ®, HDPE and XR-5™. Potable water tank liners are fabricated from materials that meets NSF 61 for Drinking Water and are virtually maintenance-free. Call toll free today: 1-877-655-1100 to speak to one of our friendly and knowledgeable Water Tank Liner Specialists.